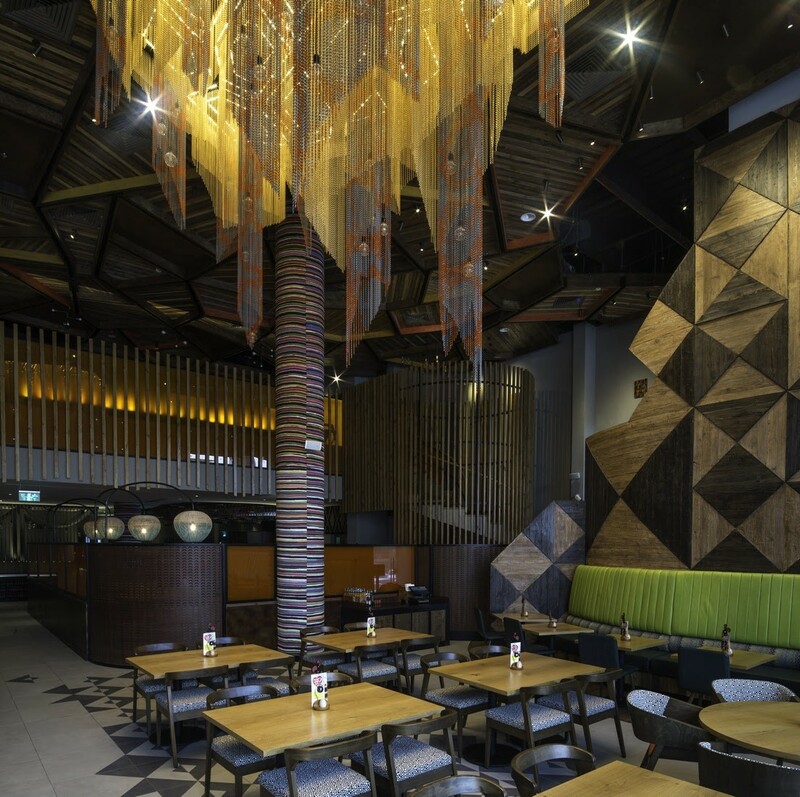 Nando's restaurant in the Saudi Arabian capital, one of the premises of the original international franchise of South Africa, stands out for two reasons: its well-known chicken Peri-Peri and its magnificent decoration, carried out by Harrison's architecture and interior consultancy. Columns of a thousand colours, walls dotted with colourful paintings, chairs with funny prints, geometric wooden ceiling in rustic style ... And, above all, the Chandelier of Kriskadecor, designed by Light Corp '93. To compose the different geometric panels of this spectacular decoration element, the company used more than 6 km of anodized aluminium chain, with falls of up to 4 meters.